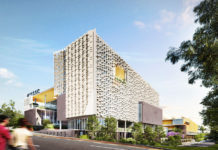 Located over two levels, Southpoint’s 4,500sqm retail and dining precinct will sit directly under Flight Centre’s new global headquarters and offer a mix of casual and formal dining along with fresh food and convenience to South Bank’s burgeoning tourist, worker and resident populations. 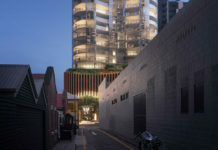 Neil Perry’s highly anticipated Burger Project will occupy a 172sqm space on Grey Street, offering indoor/outdoor dining, breakfast, lunch and dinner options as well as a selection of premium alcoholic beverages. Launching in 2014 with the idea of serving his famed Rockpool Bar and Grill gourmet burger to wider audiences, the acclaimed casual eatery has rapidly grown to six operations in Sydney and two in Melbourne. 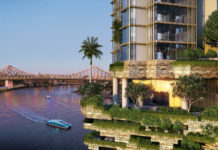 This is the first of two new Brisbane based ventures for Perry. Renowned coffee connoisseur Sebastian Butler-White will be expanding his hugely popular Pourboy Espresso operation on Wharf Street with Pourboy, a 188sqm space offering distinctive brews, breakfast, lunch and evening menus and indoor and outdoor seating. Catering for the after work and weekend crowds Pourboy will also operate as wine bar in the evenings offering a diverse and ever changing array of boutique wines and beers. Butler-White, famed for his focus on speciality coffee, brings an expertise developed by years of working in Australia’s foremost espresso bars and restaurants. Using some of the world’s most exciting blends and state of the art machinery, alongside alternative brewing methods, Pourboy Espresso’s fast paced, attentive service has seen it become a permanent fixture on local hot lists, including Top 10 coffee spots on Brisbane Times Good Food Guide for four years running. John and Frankie Nguyen will open the fourth of their local institution Mrs Luu’s Vietnamese Canteen where they will continue to serve their cult classic French-Viet Banh Mi along with a selection of freshly made fare. Named in honour of the siblings’ mother, former owner of the famed Trang Restaurant in West End and whose own marinade recipes are used, Mrs Luu’s Vietnamese Canteen Southpoint will join sister locations Bowen Hills and Milton. Husband and wife artisan bakers Brad and Megan Clapham, whose Le Campagne Bakery in Greenslopes has built a significant fan base and is widely regarded as one of the best in South East Queensland, will open Stone Artisan with a unique mix of specialty sourdough and decadent baked goods. This is the second venture for the Clapham’s whose authentic European selections range from the classics to the unique, such as their celebrated roast beetroot batards. As an added convenience, Chemmart Pharmacy will operate seven days a week with the benefit of providing a selection of in-store healthcare services. 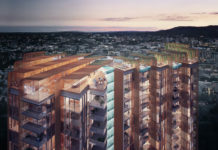 Anthony John Group Managing Director Tony John said that Southpoint will provide a complimentary mix of retail to South Bank’s current offering in a singular location. 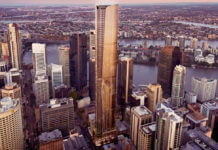 Mr John added that Southpoint’s retail precinct is well placed to capitalise on the robust market characteristics of the South Brisbane catchment, as well as being located in Brisbane’s premier tourist destination, South Bank, which boasts over 10 million visitors per annum. Southtpoint’s retail and dining precinct is scheduled to commence operating in February 2017.